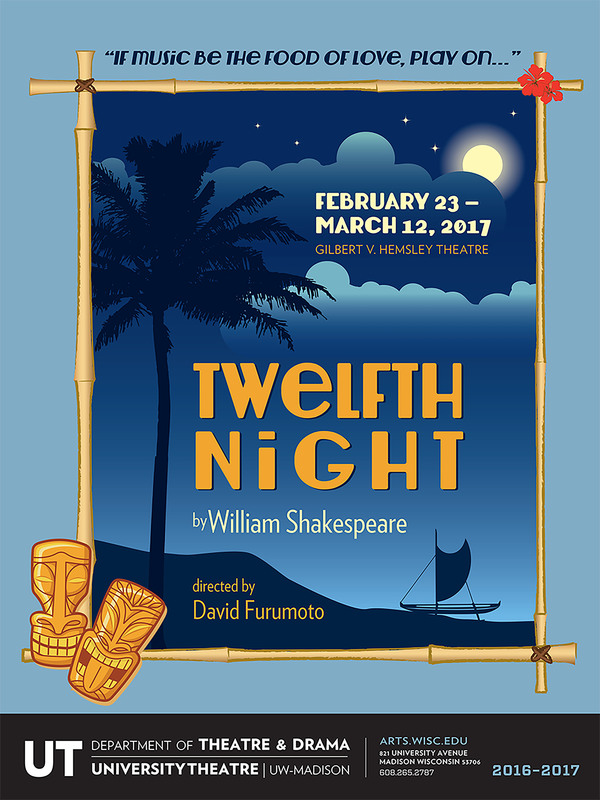 One of Shakespeare’s most popular comedies, the play centers on twins Viola and Sebastian, who are separated in a shipwreck. Viola (disguised as a boy) falls in love with Duke Orsino, who in turn is in love with the Countess Olivia. Upon meeting Viola, Countess Olivia falls in love with her thinking she is a man. The UW-Madison Department of Theatre and Drama production will be an “East meets West” experience — setting the play in the Hawaiian kingdom at the beginning of the previous century and focusing on multi-ethnic and multi-cultural casting. We set the play in the Hawaiian kingdom, the last Hawaiian monarch, Queen Liliuokalani is soon to be overthrown by the machinations of the missionary/sugar plantation cabal. It is a time of great change for the kingdom as waves of immigrants from various parts of Asia and other parts of the world are brought in to work on the vast sugar plantations that have begun operating.